All data enthusiasts: data scientists and practitioners, students, researchers, representatives from both private and public sector, that work to improve the aquaculture, fisheries, marine and environmental management, or develop ICT solutions for environmental and socio economics were invited to join the datathon co-organised by the RDA-Europe and BlueBRIDGE from June 15 to 16, 2017, in Heraklion, Crete, Greece. 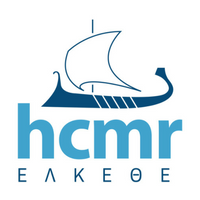 The event was kindly hosted by the Institute of Marine Biology, Biotechnology and Aquaculture of the Hellenic Centre for Marine Research (IMBBC/HCMR). The challenge was to fuel new thinking in the holistic analysis of satellite, environmental, biological and socio economic data and the interactions between fisheries, aquaculture and the marine spatial planning. Copernicus, EMODnet, BlueBRIDGE, FAO, Eurostat, Natura2000 were among the relevant datasets that were made available. How to fit aquaculture sites in the local natural and human seascapes? What are the common data needs for aquaculture and marine spatial planning? What are the perceived data gaps, and how can these be filled? How to factor in future impacts such as climate change and nutrient pollution? The event was of particular interest for students, master students, PhD students, post docs, early career researchers, SMEs, scientists and experts from start-ups. See the Datathon datasets, presentations and the working teams' slides on the dedicated VRE. Second prize: 2 days visit to the Department of Fisheries and Aquaculture of the Technological Educational Institute of Messolongi – Greece and visit to an aquaculture farm on the Messolonghi lagoon. Third prize: 2 days visit to Kavala - Thasos and to INALE institute. Financial support was available to facilitate participation to the Datathon. The deadline for the requests was the 25th of May 2017 midnight CEST. The organisers covered the accommodation costs (2 nights - 14 and 15 June 2017) in a four star hotel in Heraklion city center. Requests were evaluated by the organising committee on the basis of the applicant's CV, interests and current activities. Evening - Social dinner at the “Εν πλω” - “En plo” Restaurant, kindly offered by the organisers.